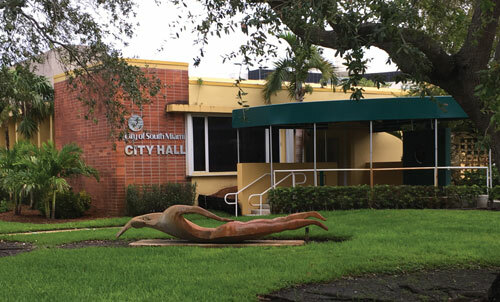 On June 25, 1927, W. A. Forster was sworn I as South Miami’s first Mayor, and the City began its nine decade journey. 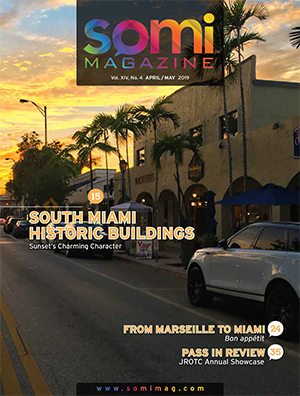 Over the last five issues, SOMI Magazine has chronicled the nine decade history of the City of South Miami. In this final segment, we examine and contemplate what economic impacts will be in place coming into our Centenary Year of 2027. COMMERCE, GROWTH, ECONOMIC DEVELOPMENT. These were the watch words which guided the history of South Miami from its inception. It is up to the city elected leadership to ensure our move to a more sustainable and prosperous future. As we approach the city’s centenary year in 2027, we explore the “what if’s?” and “can do’s” that will propel the city into a new decade of progress and economic development. Meeting residential housing needs and office development will spur resurgence in our town center. Smart growth, environmental and economic benefits. In 1983 Miami Dade County established the Urban Development Boundary (UDB) as a means of combatting urban sprawl into the low-lying periphery of the county and separating the urban core of Miami from the wetlands of the Everglades and Biscayne National Park. Research shows that Miami’s population is likely to grow from 2.7 million today to approximately 3.2 million by 2040 (University of Florida Bureau of Economic and Business Research). Several years ago, planners called for an “Eastward Ho” planning direction. Red Road Commons, built 2009. 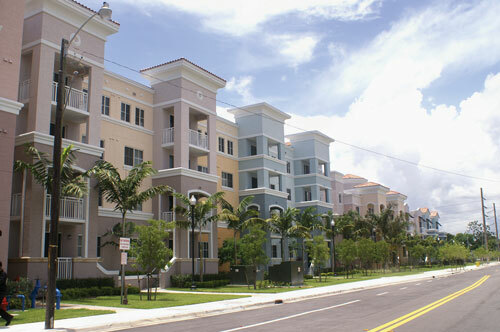 National studies of sprawl have advocated for infill development as an important antidote to inefficient and costly patterns of land use and advances an integrated approach to transportation planning, land use planning, and community design to foster sustainability of great places to live, work, and play. By reducing sprawling development in rural environments, infill development preserves important land to maintain scenic landscapes, agriculture as an economic mainstay, and natural and environmental assets. Additionally, infill development creates walkable communities, reducing the reliance on the automobile as a means of transportation. This improves the air quality and reduces greenhouse gas emissions because more compact development can minimize trip generation and reduce driving. Infill development encourages a more efficient investment in infrastructure because it encourages growth in designated growth areas where there is existing infrastructure already in place. Additionally, infill development can expand mixed-use development, and increase a community’s tax base. Sunset Place redevelopment: Architect’s rendering. New entrance facade. Sunset Place redevelopment: Architect’s rendering. San Remo Plaza on Red Road. The American Planning Association describes infill development as redevelopment that, “optimize[s]prior infrastructure investments and consumes less land that is otherwise available…” Infill development, redevelopment and revitalization can result in: efficient utilization of land resources; more compact patterns of land use and development; reinvestment in areas that are targeted for growth and have existing infrastructure; and a more efficient delivery of quality public services. 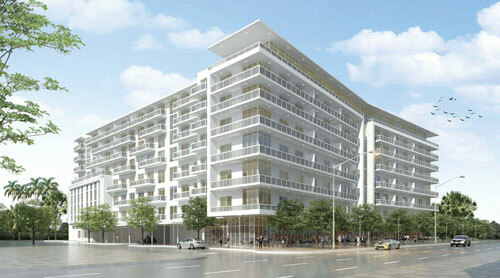 Sunset Place redevelopment: Architect’s rendering. Hotel and Residential Towers along US1 and Red Road. Proposed developments on the horizon are: the Winn Dixie site, residential units at 6075 Sunset Drive, the City Hall campus and The Shops at Sunset Place. SoMi Station is another development; however this is under the control of Miami Dade County Transit & Public Works Department. It is an imperative that the City capitalize on what our founders realized. The uniqueness of our T.O.D.D. (Transit Oriented Development District) and its potential is key to our economic growth. Our revenue base would increase and needs addressed for our business community and residents. 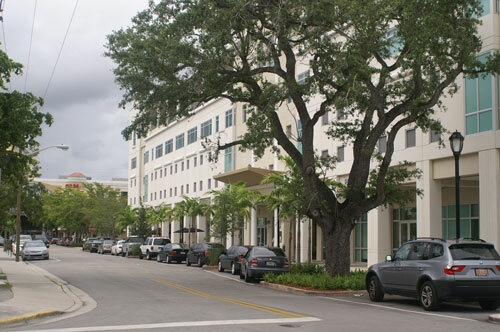 In the course of the next few years, paramount discussion and zoning changes to address what is best for the US1 corridor to 80th Street by way of housing and business development. The housing needs in our community – upscale, moderate, and workforce/affordable — have been minimally addressed in the last two decades. 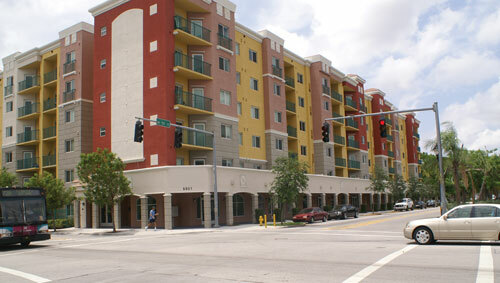 The Valencia Apartments, a mixed use development, were built in 2004. It has 301 luxury residential units which are now condominiums. Red Road Commons located on a 7 acre parcel was built in 2009 and has 404 unit rental apartment development, the majority of which is leased by UM students. It is only now that plans are coming forward to provide for more residential housing, and the need continues to grow for more “workforce” housing to meet the needs of service workers, such as teachers, nursing, police and others who would best live in proximity to their work. Projects being planned and presented to the City Commission are two imminent proposed developments: 6075 Sunset Drive and the Winn Dixie site. 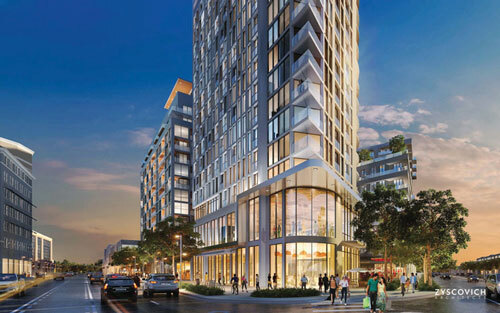 Additionally with the possible redevelopment of the City Hall Campus and residential towers proposed in The Shops at Sunset Place redevelopment project, there are additional prospects to meet increased housing needs. Architect’s rendering: Class A Office Development & Student Housing. 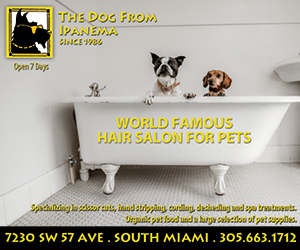 This property is 1.6-acres in size and has frontages on SW 72nd Street, SW 61st Avenue, and SW 71st Street; and makes up approximately one-half of the block. Currently, it’s developed with a 20,371 sq. ft. multi-story office building and surface parking lot. Alta Development is proposing to demolish the existing structure and build a multi-story, mixed-use (commercial/residential) building. Commercial space, consisting of 3,678 square feet of restaurant and 2,441 square feet of retail use, will be located on the ground floor of the Sunset Drive facade, and wrap around the corner of the building to also face onto SW 61st Avenue. 6075 Sunset Drive: Existing office building. 6075 Sunset Drive: Architect’s rendering. A total of 203 residential units will be located on the upper levels of the building and the ground floor level of the northern portion of the building. The unit mix consists of town homes, studios, and one-, two-, and three-bedroom units of varying sizes, The building will be eight stories in height along Sunset Drive and step down to fifty-two feet along 71st Street. Approval for this project would require a unanimous 5/5 vote by the City Commission. Existing location: Winn-Dixie 5850 SW 73rd Street. Architect’s rendering: Winn-Dixie Site Redevelopment (2017). 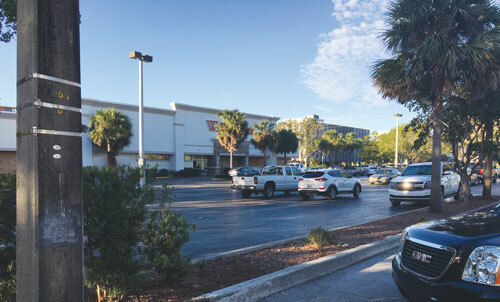 Since 1962, the Winn-Dixie grocery store located at 5850 SW 73 Street has been serving the local supermarket needs of the South Miami community. with priority being given to maintaining a grocery store in the area. 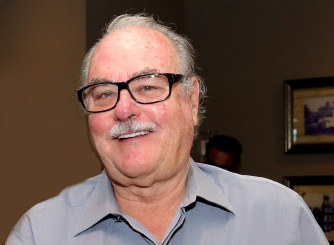 The developer spent one and a half years in planning with Winn Dixie. What is now on the drawing boards and soon to be presented to the City of South Miami for approval is the redevelopment of the site which will satisfy two needs of the community: a neighborhood grocery store and much needed residential apartments, which will bring more foot traffic into our town center. Engaged to develop the plans is architect Kobi Karp, whose internationally recognized architecture and interior design firm, provide unique, creative and innovative design solutions to renowned clients internationally and domestically in hospitality, retail and high-rise residential developments. The developer is looking at a financial layout of some $100 million. The redevelopment would include an expanded Winn-Dixie store to 30,000 sq. ft., from its existing 19,216 adjusted sq. ft, parking for 150 vehicles, 15,000 sq. 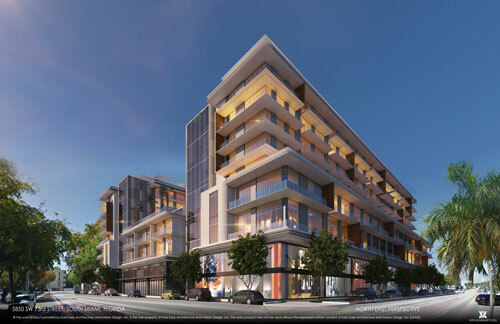 ft of retail and 2 eight-story upscale residential units of one, two and three bedrooms. Streetscape improvements will provide a contemporary, friendly and exciting in-store environment. Approval of this redevelopment will call for a unanimous 5/5 vote of the City Commission. In 2016, the electorate overwhelming favored (72.8%) in a “straw” non-binding ballot, to consider the redevelopment of the City Hall campus. The city administration had laid out justifiable reasons for the need of a new city hall. In redeveloping the City Hall campus however, the integrity of the historic Sylva Martin Building must be maintained. A new City Hall and apartment residences would be appropriate for the site. There is a demonstrable need for workforce housing, which could lead to a further economic resurgence on the west side of US1 and with residual benefits into our existing restaurant and retail district. Approval of this redevelopment will call for a unanimous 5/5 vote of the City Commission. Sunset Drive Improvements completed December 1998. Since purchasing Sunset Place from Simon Properties for $110 million in late 2015, the ownership team comprised of Federal Realty Investment Trust, Grass River Property, and the Comras Company, are proposing a redevelopment and revitalization plan for the nearly 9 acre property. 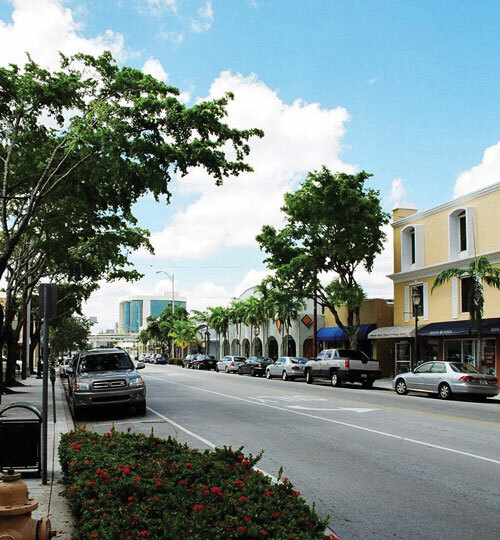 The prime parcel at the entrance to our city and the SOMI’s shopping and dining district was site of the Holsum Bakery for many years in the early days of South Miami. After Holsum moved, the Bakery Centre was built, which was problematic from the outset. 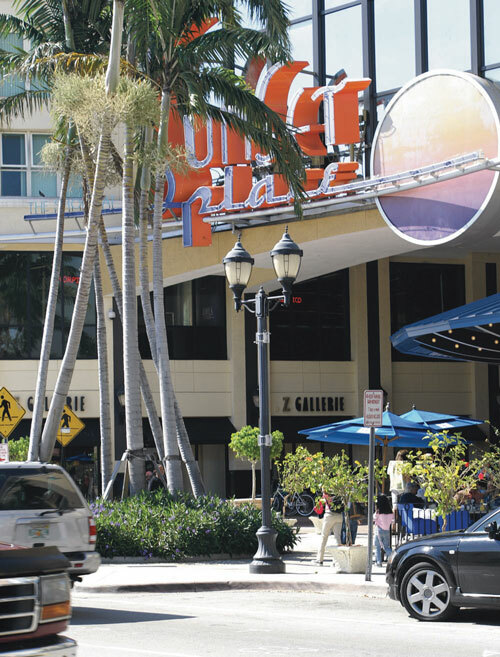 In 2001 came The Shops at Sunset Place, which has demonstrably shown to be a lackluster mall. A key flaw is Sunset Place faces inward and does not integrate with the surrounding community. 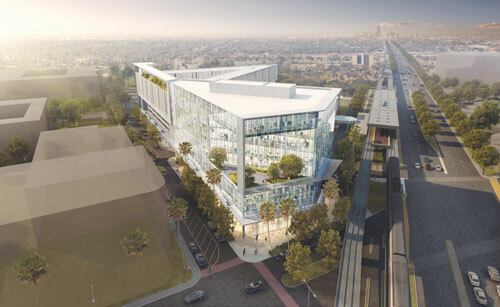 Planned is a transformation of the property into a walkable urban center where people can live, shop, eat, gather, and conveniently commute to work on the Metrorail. Plans call for newly designed street-level retail and two residential buildings comprising some 414 units. A hotel with approximately 182-rooms also is planned. On the drawing boards is a thorough program of façade improvements and the introduction of exterior facing storefronts designed to increase the center’s connectivity with the surrounding neighborhood. The addition of residential and hotel uses will provide a significant and sustained economic benefit to SOMI’s town center shopping and restaurant district by creating a consumer base within walking distance to the area’s existing businesses. Overall this revitalization effort will translate to a significant tax boost for the city’s budget allowing for great services and parks improvement without increasing residential taxes. COMMERCE, GROWTH, ECONOMIC DEVELOPMENT. The realization of these proposed developments will ensure our move to a more sustainable and prosperous future, and a good reason to celebrate the City’s centenary year in 2027. THE SHOPS AT SUNSET PLACE, designed by the local architectural firm of Wolfberg, Alvarez and Partners was opened January 22, 1999. It was the first project built in accordance with the Hometown Plan (1992). 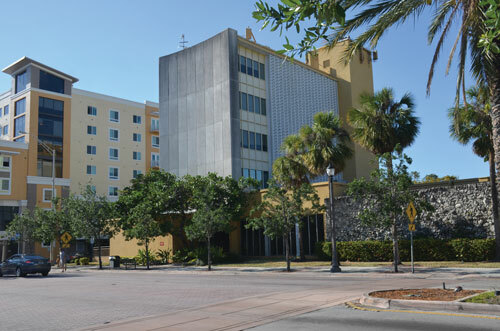 It was followed by the Amster Building located adjacent to a trio of designated historic buildings on US 1 and Sunset Drive, Plaza 57, an office and retail building at 57th Court, and the South Miami Pharmacy building on US1 & 61 Avenue, at the south boundary of the Hometown Overlay District. 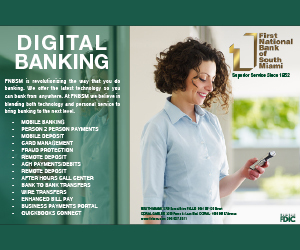 These infill and redevelopment projects complied with the basic tenets of the Hometown Plan. I am so glad you support the suggestions about more housing and “infill.” It’s too bad that there are those who would hang on to a way of life that just isn’t realistic for the long run. I very much appreciate your writing positively about the proposed new projects. Thank you, John!